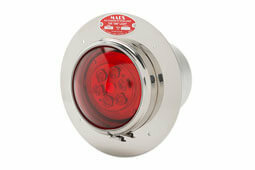 Tri Lite’s iconic Mars "888" Traffic Breaker is now available with energy-efficient, long-life LEDs. 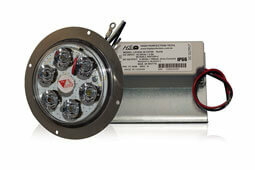 This rugged LED light is offered in addition to the classic halogen version which is widely used today. 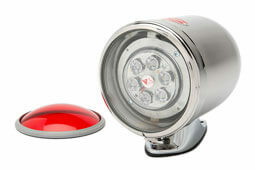 Both warning beacons utilize a distinctive gimbal mounted lamp to generate a "triple eight" light pattern that alerts traffic to approaching emergency equipment. The bright, oscillating light aids in clearing the road, day or night, even in adverse conditions while the polished stainless steel housing looks great on any vehicle! Our experienced service specialists are always available to answer questions and help you select the right product. Tri Lite, Inc. manufactures specialty electrical products including loading dock lights, portable task lights, warning lights and beacons, and personal heaters. MARS is a trademark of Tri-Lite Inc.